Clearly my life has come down to spending my evenings in bed wondering how I can improve on my Swiss Meringue Buttercream. After the failure of my lemon cupcakes (I'm exaggerating somewhat, they weren't too bad), I was so determined to try again that I felt I owed it to myself to succeed. Yes, my life has become that sad! As per usual with any of The CC's sponges, this cake is unbelievably light, moist and, most importantly, it has the perfect amount of vanilla in it to contrast with the bitter Nutella to create a perfectly rounded cake. I followed her instructions for the buttercream more thoroughly than previously and had the pan of sugar and eggs over the heat for the full ten minutes. 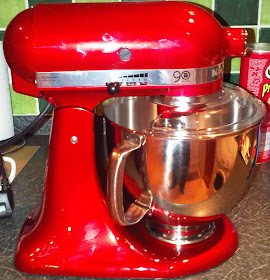 I then put my KitchenAid on speed 2 and, instead of whipping it up into a frenzy in a minute or so, allowed it to cool in it's own time. 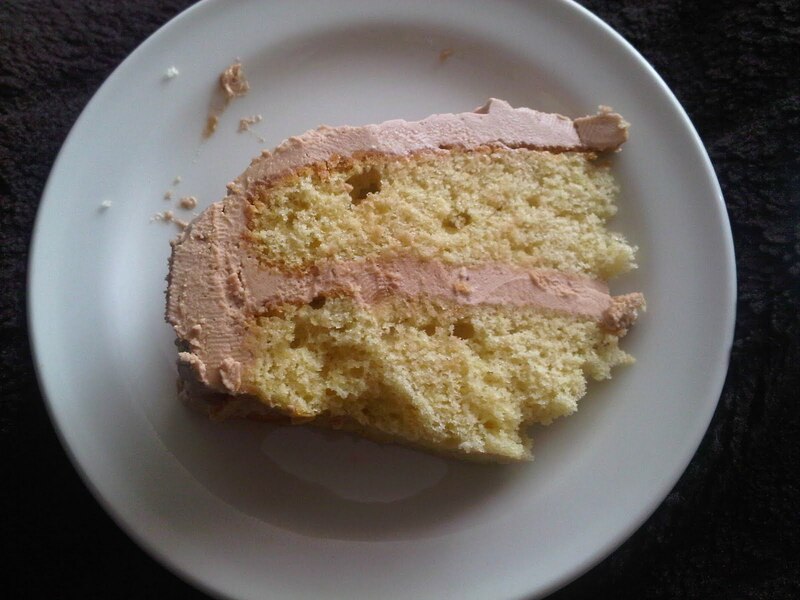 I feel this benefited the buttercream greatly and it has a fantastic flavour and texture, just as I had hoped for! Once again, a huge thank you to The Caked Crusader. I have provided the links for the recipes I used individually above, but here are the recipes together as I used them! 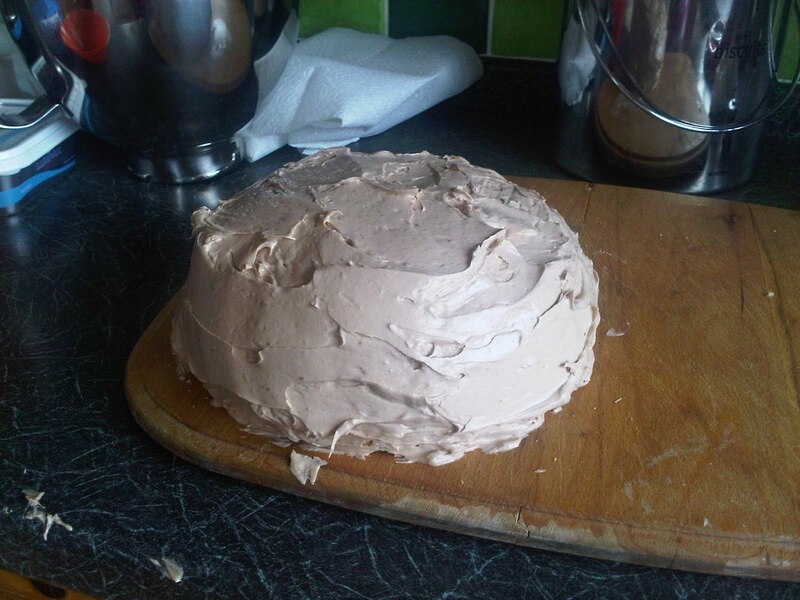 3-4 tablespoons Nutella- I used 4 teaspoons not tablespoons and my buttercream looked aneamic..
Line the bottoms of two 20cm loose bottomed sandwich tins with baking paper. Bake for approx 30 minutes until a skewer inserted into the cakes comes out clean. Yummm!! I love nutella and would definitely love a slice of this. I've never tried a swiss meringue buttercream but I think I may have to brave it one day. It's very sweet so good in small slices! SMBC is hard until you get the hang of it, unless that's just me! Aah...This looks absolutely yummy..Seriously, can you ever go wrong with Nutella? Why tablespoons, go for scoop fulls I say..:) :)I've never tried making meringues before but I think this recipe is a good place to start! 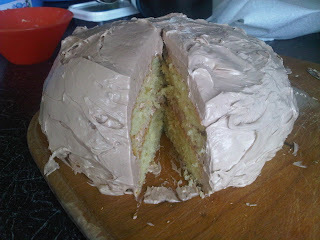 I genuinely believe that this buttercream can only benefit from as much Nutella as your stomach can handle!